From wage gaps to social prejudices, Indian women face multiple barriers to entering the workforce in greater numbers. 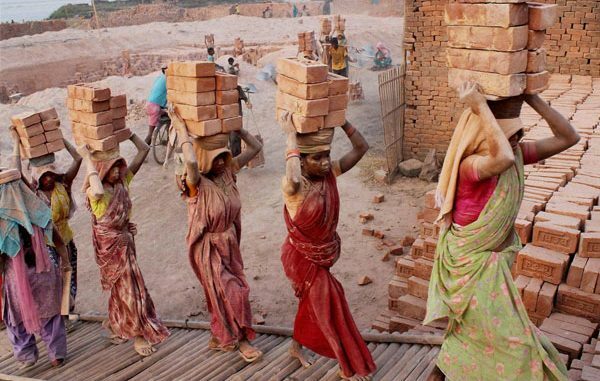 “The Indian economy remains heavily gender segregated,” a report by the Bengaluru-based Azim Premji University’s Centre for Sustainable Employment has found. The report on India’s job market also underscores the fact that women haven’t completely benefited from India’s rapid economic progress. India’s female labour-force participation is among the lowest in the world and what is worse, it has only stagnated in the last decade. This has been attributed to factors such as societal attitudes that give preference to early marriages over jobs and education, a general disapproval of working women, and a lack of suitable job opportunities for them. Women also continue to be employed mostly in low-paying, low-value jobs. Here’s how India’s women stack up in the workforce. The wage gap, much like the world over, persists in the Indian job market, too. And for women here, who are largely employed in low value-added sectors such as agriculture, textiles, and domestic services, the wage disparity is quite striking. “Women earn between 35% and 85% of men’s earnings, depending on the type of work and the level of education of the worker,” the report added. However, over the last few years, pay disparities have reduced across certain sectors. For instance, in the organised manufacturing sector, the pay gap has narrowed from 35% in 2000 to 45% in 2013. Similarly, the report noted a reduction in the earnings gap in female-dominated industries like food, tobacco, textiles, apparel, and among construction labourers. Women in India form a large chunk of the workforce in industries such as agriculture, education, and textiles. “Women workers remain highly over-represented in the low value-added industries as well as occupations, such as agriculture, textiles, and domestic service,” the report noted. These low-value-added industries mean that women continue to be on the lower end of the pay scale. At the higher end of the wage spectrum, women are few in number. “Women continue to be heavily under-represented among senior officers, legislators and managers…Also, on a negative note, women continue to be over-represented in elementary occupations, which are among the least well-paid,” the report noted. The silver lining, though, is that the winds of change have started to blow. More and more educated women are joining higher-earning occupations, even though their share remains small. Even as the country grapples with providing meaningful employment to its young people, policies directed towards enabling more women to join the workforce could bode well for the country.